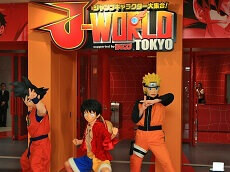 The perfect stop for any One Piece fan, Tokyo Tower has been taken over by One Piece, resulting in Tokyo One Piece Tower. 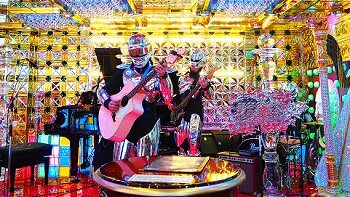 Known as "Tongari Island", this event is filled with attractions, wonderful restaurants, and a live-action show designed to wow fans of all ages. 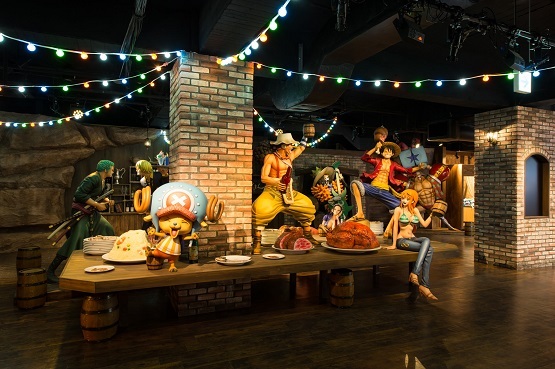 Each attraction is based on a different member of the Mugiwara Crew, from Luffy's Endless Adventure to Franky's Ball Run, you're in for fun and excitement. 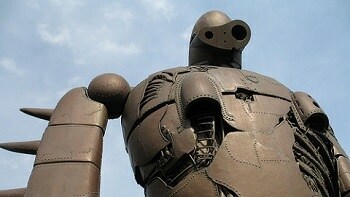 There are also sections for artwork, statues, and great spots to take photos with the Straw Hat Crew. Pose with Trafalgar D. Law, take a picture behind bars, or learn the ways of the katana with Zoro! The Tower also features an exclusive short clip and awesome seasonal events to keep things exciting. Take the fun home with you after a trip to the Mugiwara store, where you can get exclusive One Piece themed products and goods of Tokyo Tower. 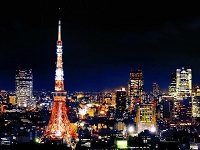 Take a break from exploring the Grand Line and discover the Tokyo One Piece Tower during our exciting line of Anime Japan Tours and Cherry Blossom Anime Tours! 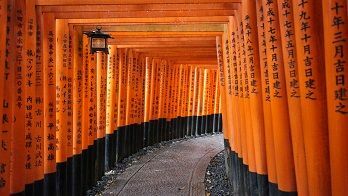 Here are just a few of the incredible attractions you can enjoy while at Tongari Island. Each attraction is based off the characters of the Mugiwara Crew! 360 Log Theater - The interactive 360 degree theater before entering the tower. Enjoy a quick show about the world of One Piece with your Tokyo One Piece Tower exclusive character: Tongari Transponder. Tongari Port - The first part of the Island where the Straw Hat Pirates wait to greet you. Take some pictures or keep on going up! 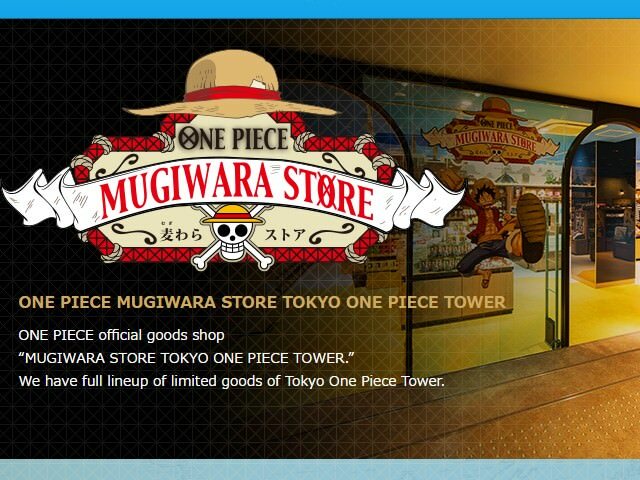 Tongari Store - Gift Shop featuring Tokyo One Piece Tower Exclusive merchandise. Zoro's Soul of Edge - Zoro's ready to teach you swordsmanship. Be prepared to learn the way of the Katana and slice through enemy fire! Brook's Horror House - Brook may not be the scariest, but this house may frighten you. Chopper's Thousand Sunny Tours - Take a tour of the Straw Hat Crew's ship with help from Chopper! Franky's Corner - Area filled with games and Franky's Cola Bar. Robin's Finding Ponegliff - A special scavenger hunt type riddle with a prize from Robin waiting the winners. Nami's Casino House - Nami's very own casino. Don't lose all your money! Usopp's Road to Sogeking - Slingshot game with the legendary sharp shooter himself! Luffy's Endless Adventure - Go back to the beginning and navigate your way through some of the trials and challenges Luffy has gone through! Log Gallery - Special exhibition area displaying original artworks from the One Piece Manga & Anime! At the front of the store you can see Luffy and Zoro on the glass and One Piece merchandise all around! Stock up on all the essential pirate goods before heading back out on the Grand Line! Get special edition products of your favorite One Piece characters, exclusive to the Mugiwara Store. 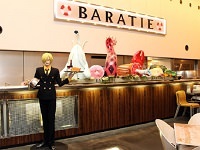 There's also another One Piece themed store in Tokyo Tower's Foot Town shopping arcade. Just in case you forgot something at the tower, or just want to look for more exclusive goods, Tokyo One Piece Tower is a dream come true for fans of the Straw Hat Crew. Spend some time with the Straw Hat crew and pick up exclusive merchandise only found at the Tokyo Tower location by joining one of our best-selling Anime Japan Tours or custom Japan vacation packages!